Nothing beats the soothing and gentle care that nature-based products bring, along with the benefits they provide to the body. For centuries, coconut oil has been the beauty and skin secret— a true jewel of nature—used by Asians with its proven benefits and nourishing qualities. And now, the West has also discovered the outstanding benefits it brings—as restorative, healing, and anti-inflammatory oil. Also, it has many uses too: as a hair conditioner, a face cleanser, a body scrub, a detox bath and an over-all moisturizer that can penetrate the skin better than synthetic products can! At the Glow Spa of Club Paradise Palawan, an oasis of serenity in a tropical island, you can enjoy natural pampering while protecting the environment as only 100 percent natural coconut oil is used in its rejuvenating treatment selections, instead of synthetic scented oils that can harm the environment or even irritate the skin. You can choose from among different infusions - lemongrass, turmeric, ginger, or local herbs for an even more potent, invigorating and luxuriating experience. Pure oil is extracted from the coconut by carefully cooking it for at least three hours. The coconut is sourced from women of Barangay Cheey in Coron, Palawan, who rely on coconut for their livelihood and additional income. The arrangement also helps their community. Other spa treatments also use organic ingredients like yogurt, carrots, cucumber, papaya, oatmeal, fresh milk and honey. Some of the produce is grown at Club Paradise’s own Taranuman Farm and are completely pesticide and chemical-free! 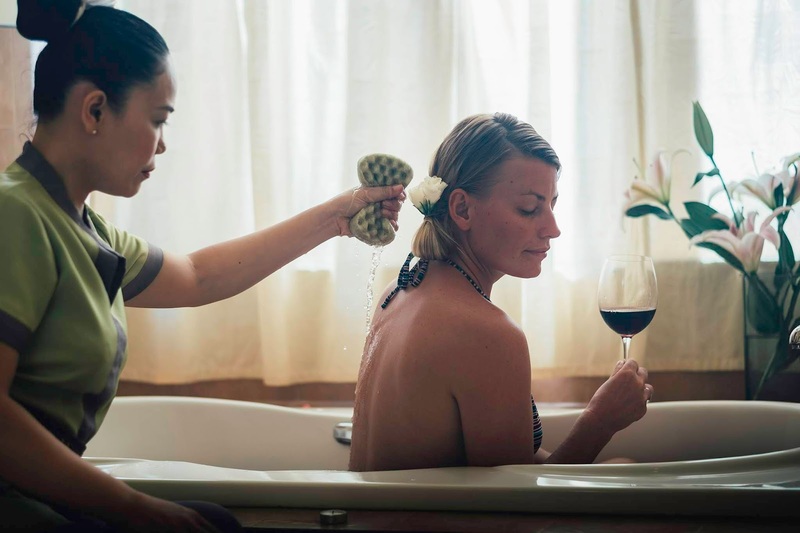 Among the treatments available are Body Massage, Body Scrub and Natural Body Scrub, Natural Scrub, Luxurious Indulgence or Tropical Hot Pack with Holistic Massage. So relax and savor the pampering you deserve at the Glow Spa while doing your share in protecting the environment and helping the local community. For more information, visit https://www.clubparadisepalawan.com/recreation/coron-spa/. Get it for only P50! The one and only! Buy One Get One at Dairy Queen Today!! !